Give your members a way to show off the club they belong to by adding our custom chart collection to your club regalia! All of our products can be printed or embroidered with your event logo or yacht club burgee. 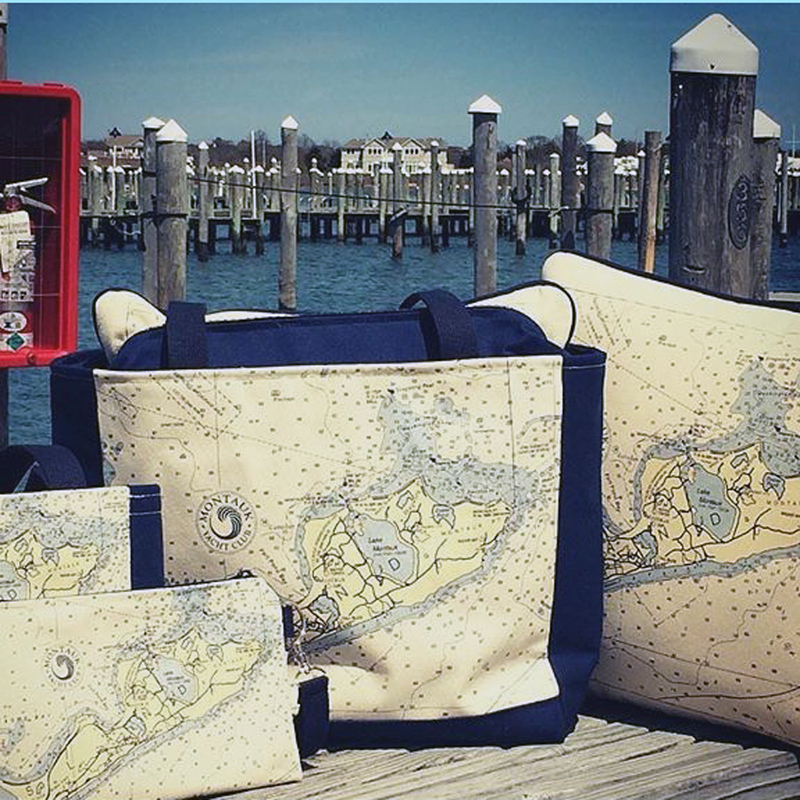 We have designed custom collections for regattas, small local events, major national championships and yacht club's ship stores. It makes our club a little and your event seamless. Contact us for more information and personal assistance with designing the perfect collection for your shop or event. Have a corporate event, wedding, fishing tournament? For more info on our other services, click here. We can help you really show off your club or sailing event! Our printing process allows us to incorporate full color logos and burgees into the chart design imagery. If embroidery is preferred, it is at an additional fee and contingent upon the stitch count and if creating an embroidery disk is necessary. We have a variety of lining colors to compliment the colors in your logo or burgee. Please inquire about our custom options here. Custom bags is our specialty. Not interested in charts or maps? We do it all from line drawings, over-all prints, and special materials.